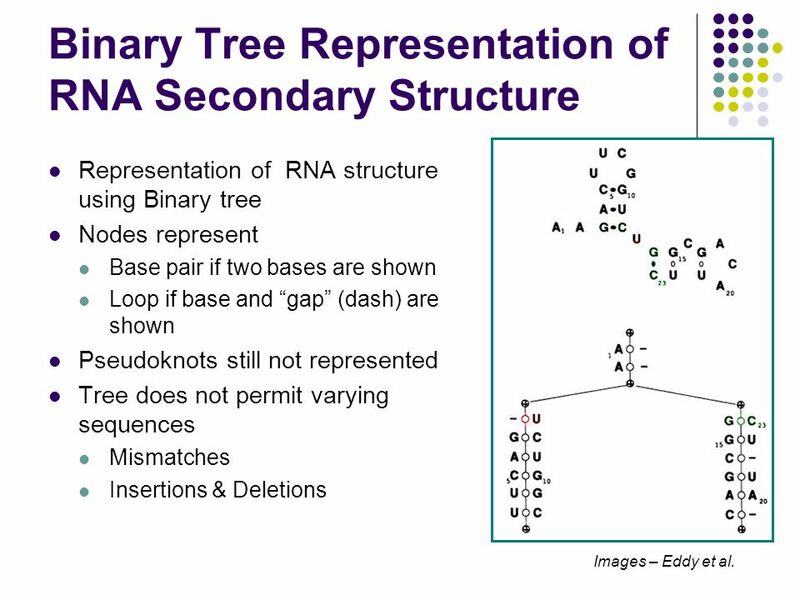 Representation of RNA structure using Binary tree Nodes represent Base pair if two bases are shown Loop if base and “gap” (dash) are shown Pseudoknots still not represented Tree does not permit varying sequences Mismatches Insertions & Deletions Images – Eddy et al. 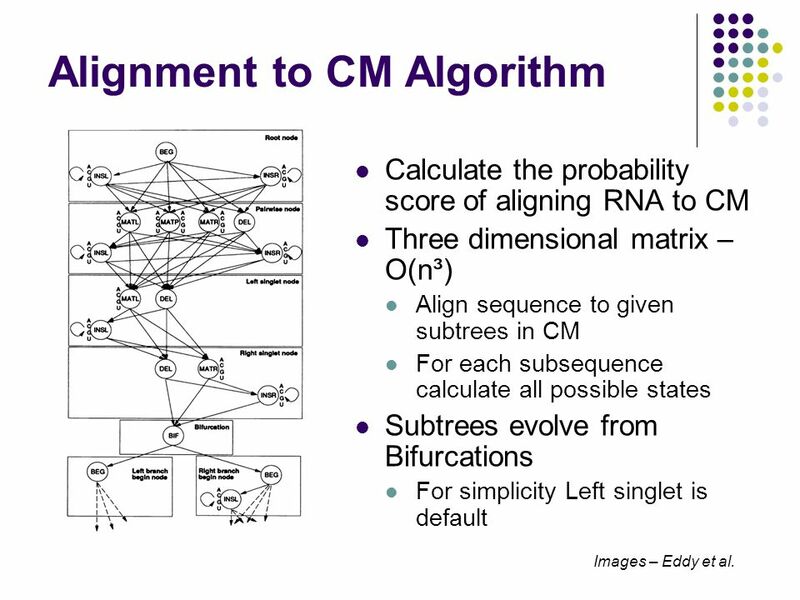 Calculate the probability score of aligning RNA to CM Three dimensional matrix – O(n³) Align sequence to given subtrees in CM For each subsequence calculate all possible states Subtrees evolve from Bifurcations For simplicity Left singlet is default Images – Eddy et al. 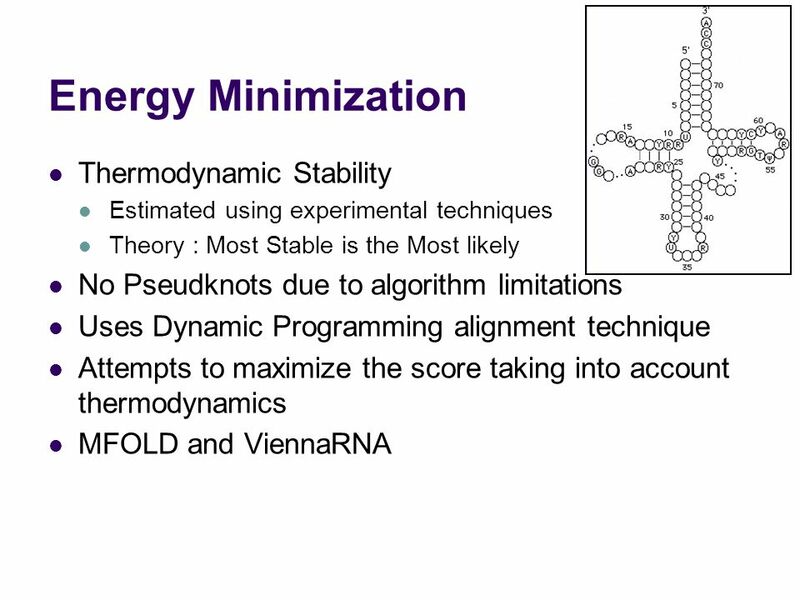 22 References How Do RNA Folding Algorithms Work?. S.R. Eddy. 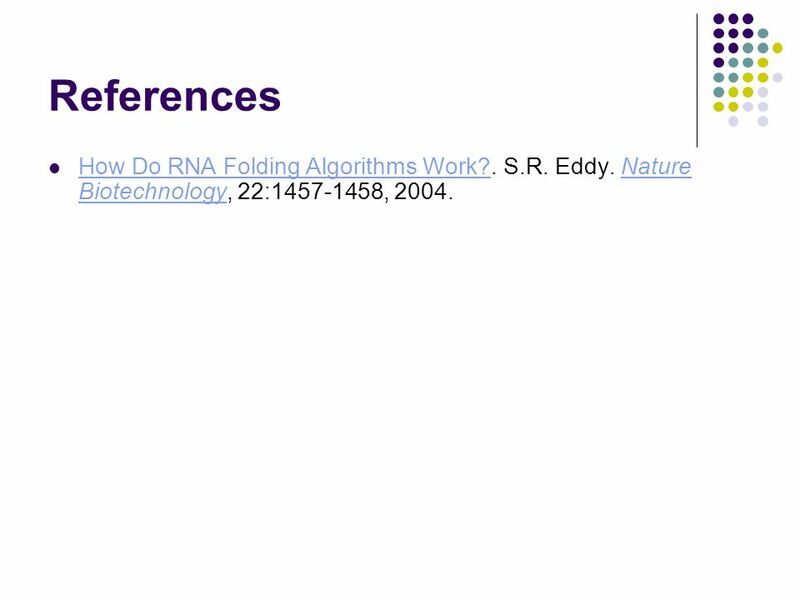 Nature Biotechnology, 22: , 2004. 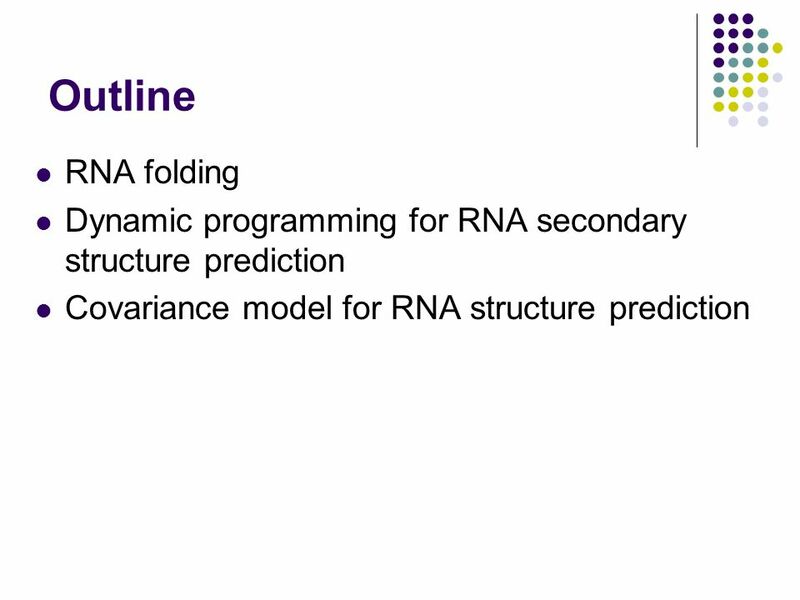 Download ppt "RNA Secondary Structure Prediction"
RNA structure prediction. 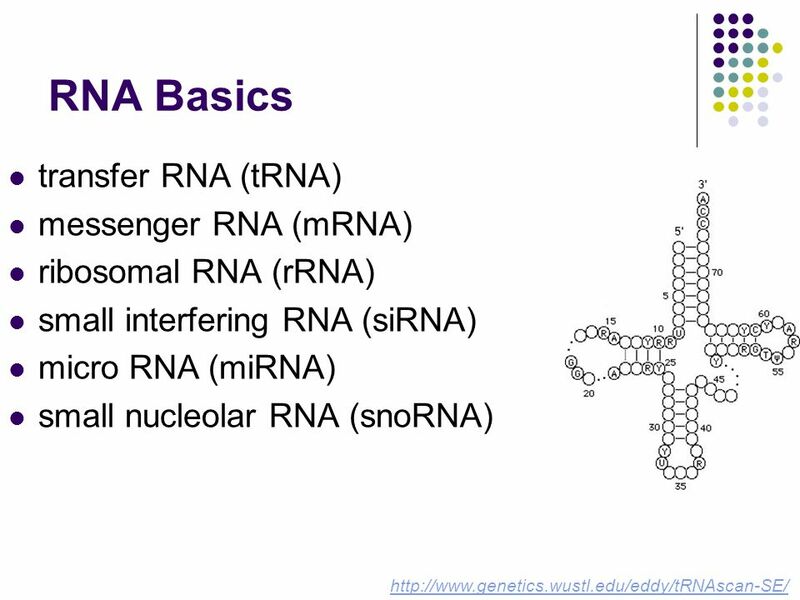 RNA functions RNA functions as –mRNA –rRNA –tRNA –Nuclear export –Spliceosome –Regulatory molecules (RNAi) –Enzymes –Virus –Retrotransposons. 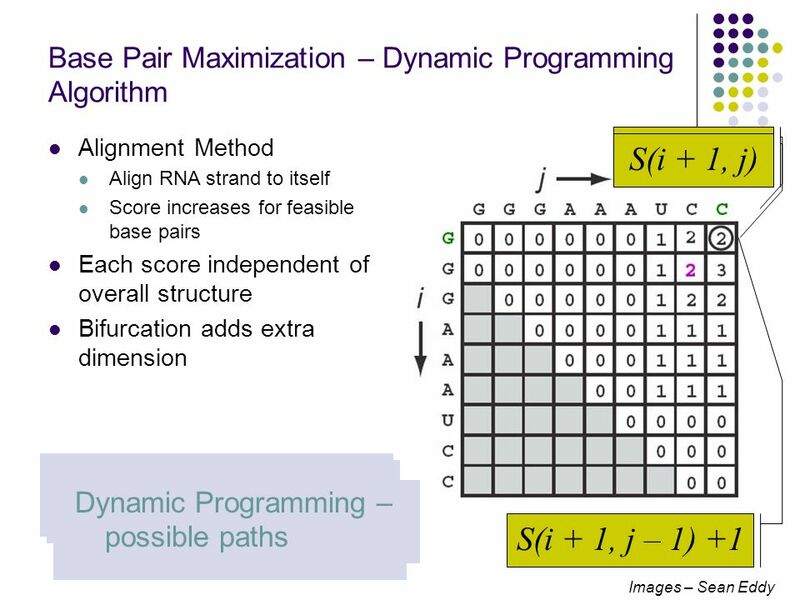 Pairwise Sequence Alignment Sushmita Roy BMI/CS 576 Sushmita Roy Sep 10 th, 2013 BMI/CS 576. 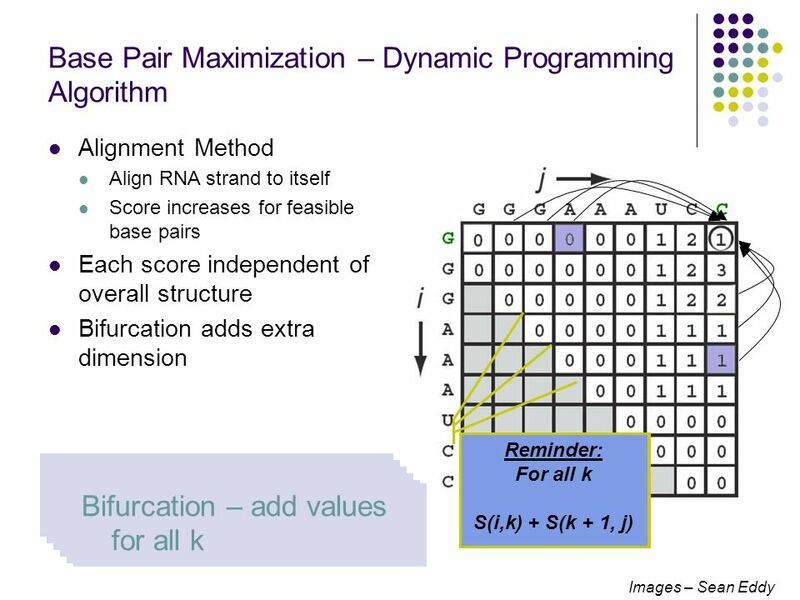 Blast to Psi-Blast Blast makes use of Scoring Matrix derived from large number of proteins. What if you want to find homologs based upon a specific gene. 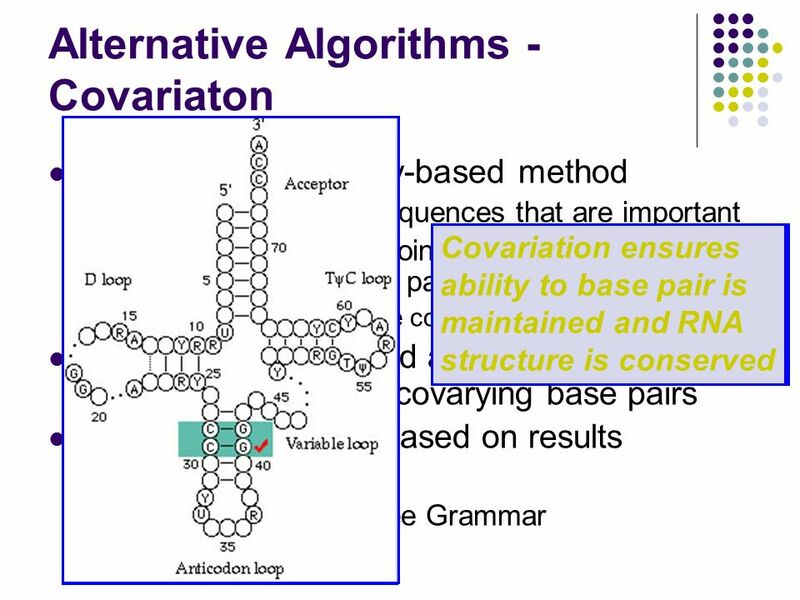 Stochastic Context Free Grammars for RNA Modeling CS 838 Mark Craven May 2001. 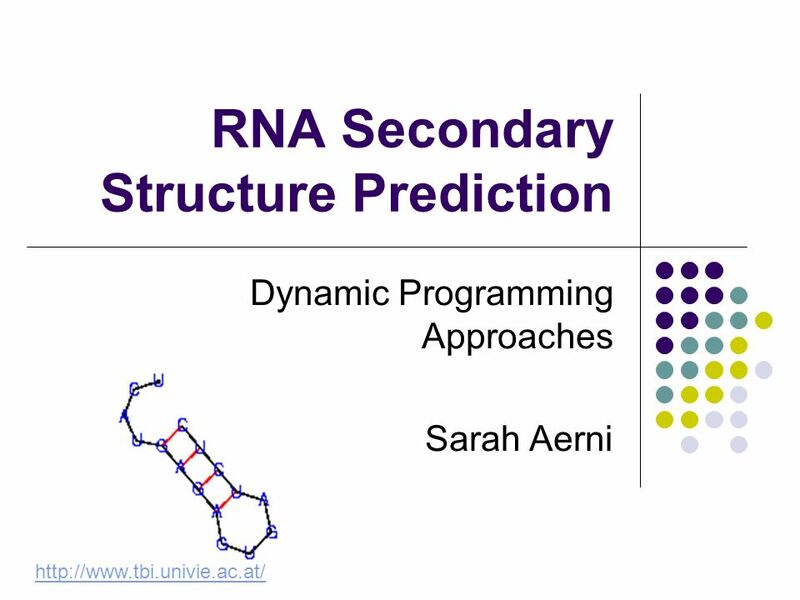 6 - 1 Chapter 6 The Secondary Structure Prediction of RNA. 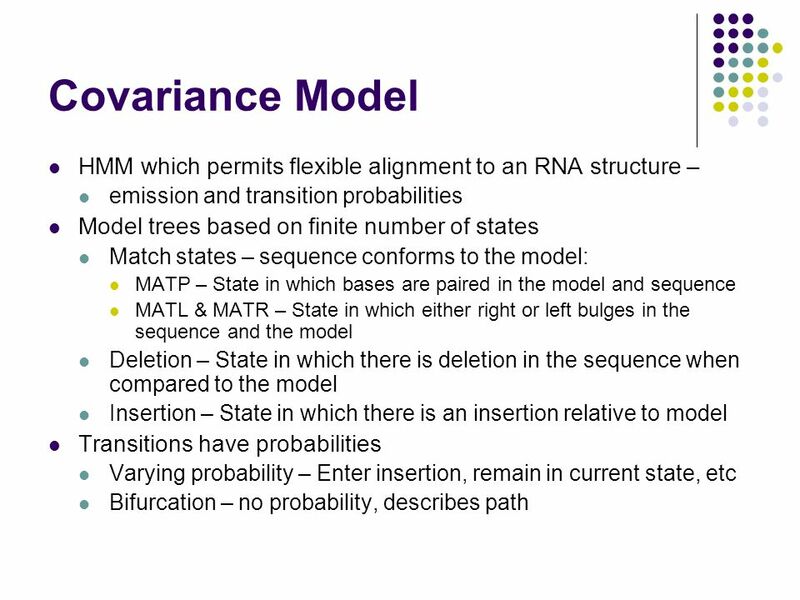 6 -1 Chapter 6 The Secondary Structure Prediction of RNA. 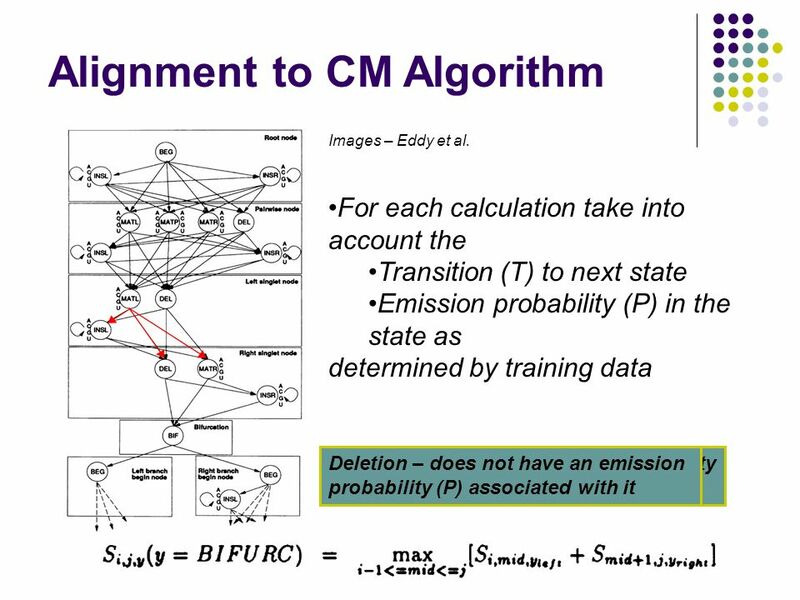 Hidden Markov Models Pairwise Alignments. 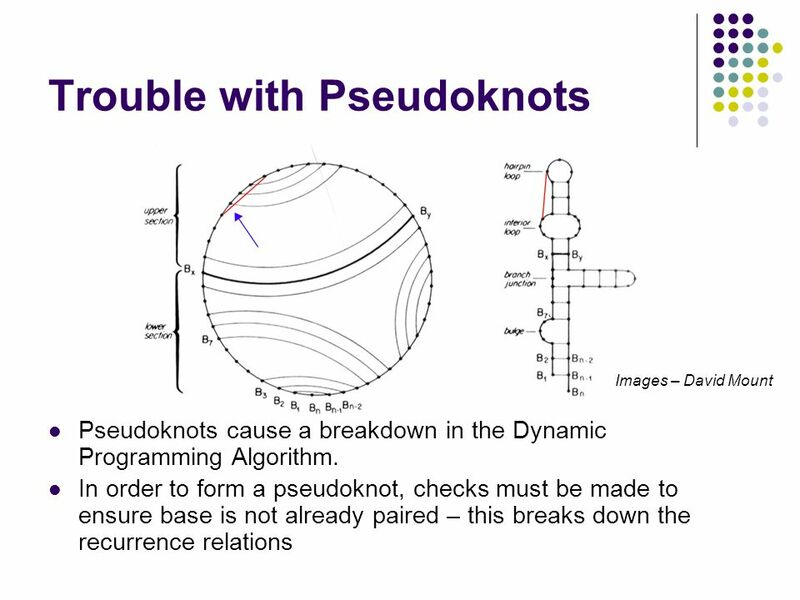 Hidden Markov Models Finite state automata with multiple states as a convenient description of complex dynamic. 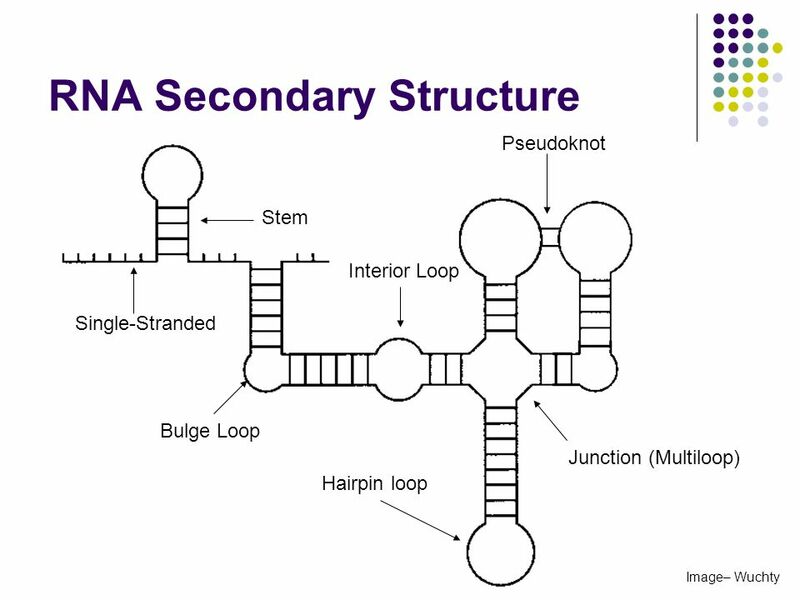 RNA Secondary Structure aagacuucggaucuggcgacaccc uacacuucggaugacaccaaagug aggucuucggcacgggcaccauuc ccaacuucggauuuugcuaccaua aagccuucggagcgggcguaacuc. 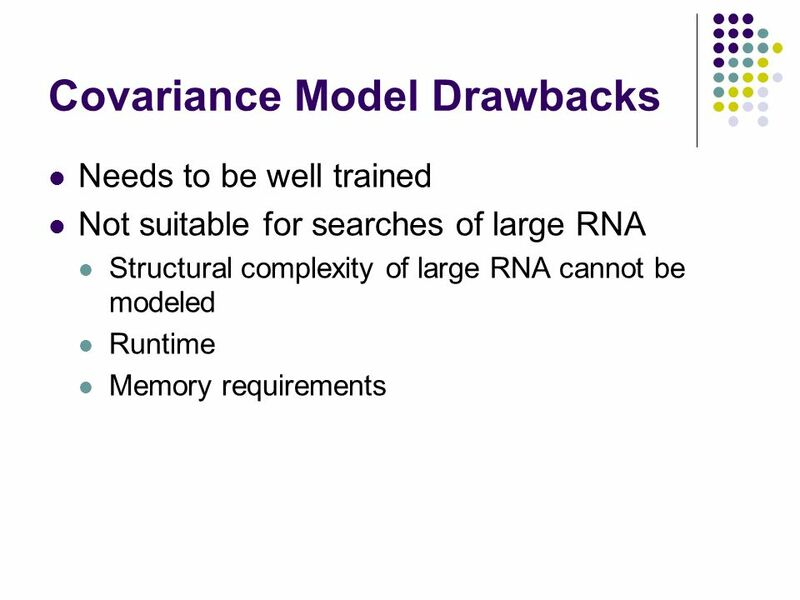 RNA Folding Xinyu Tang Bonnie Kirkpatrick. 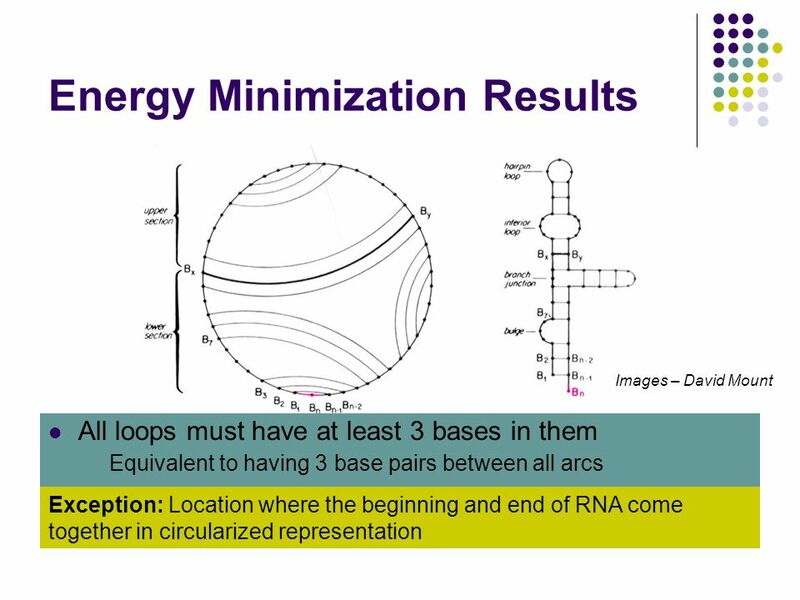 Overview Introduction to RNA Previous Work Problem Hofacker ’ s Paper Chen and Dill ’ s Paper Modeling RNA. 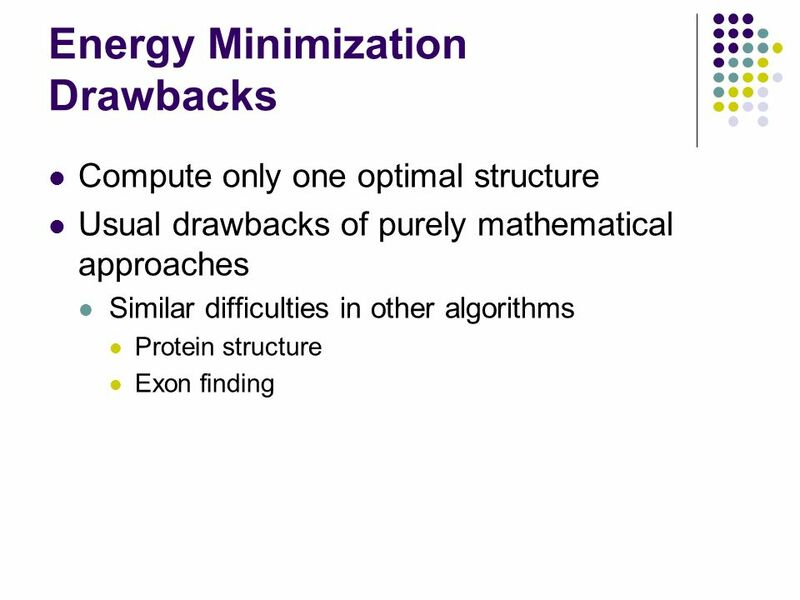 Hidden Markov Models I Biology 162 Computational Genetics Todd Vision 14 Sep 2004. 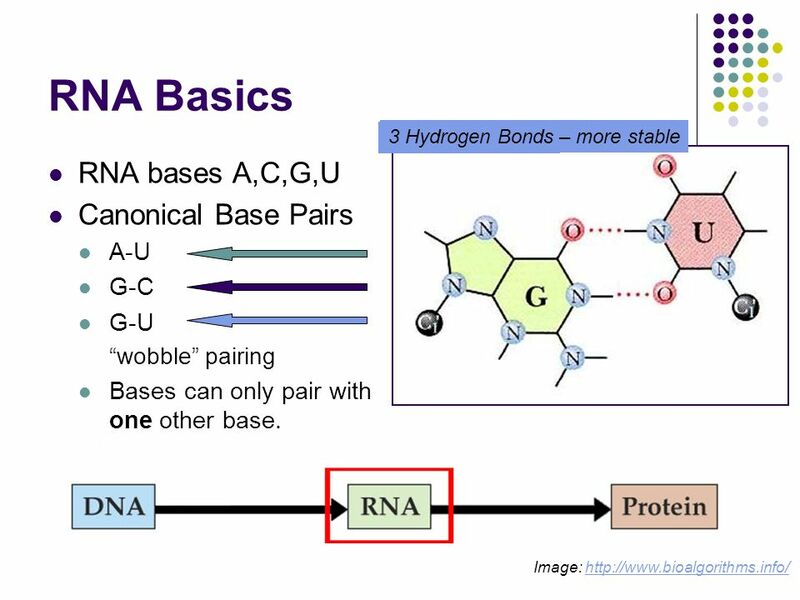 Non-coding RNA William Liu CS374: Algorithms in Biology November 23, 2004. 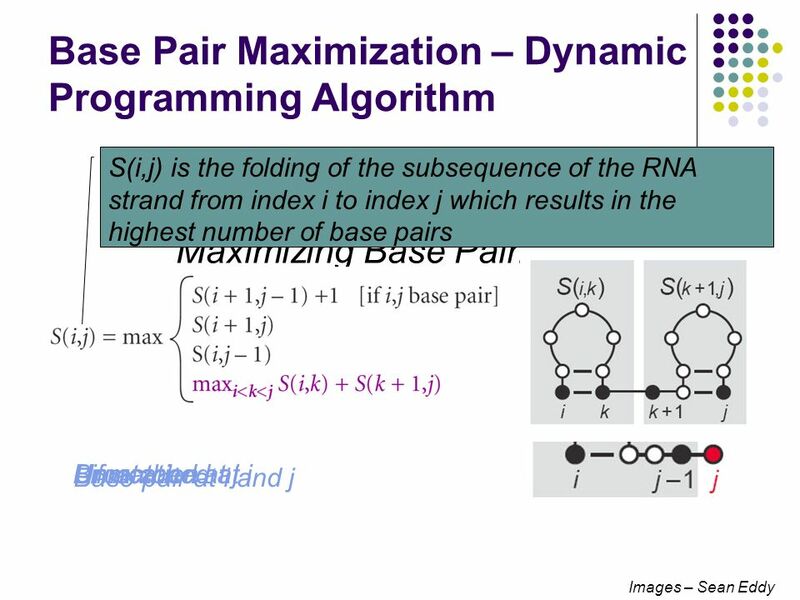 Pattern Discovery in RNA Secondary Structure Using Affix Trees (when computer scientists meet real molecules) Giulio Pavesi& Giancarlo Mauri Dept. of Computer. 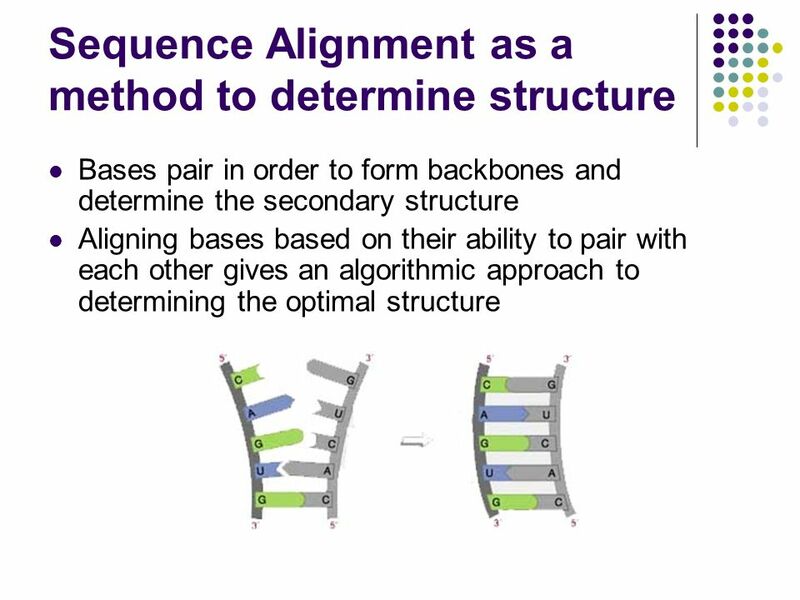 Pairwise sequence alignment Lecture 02. 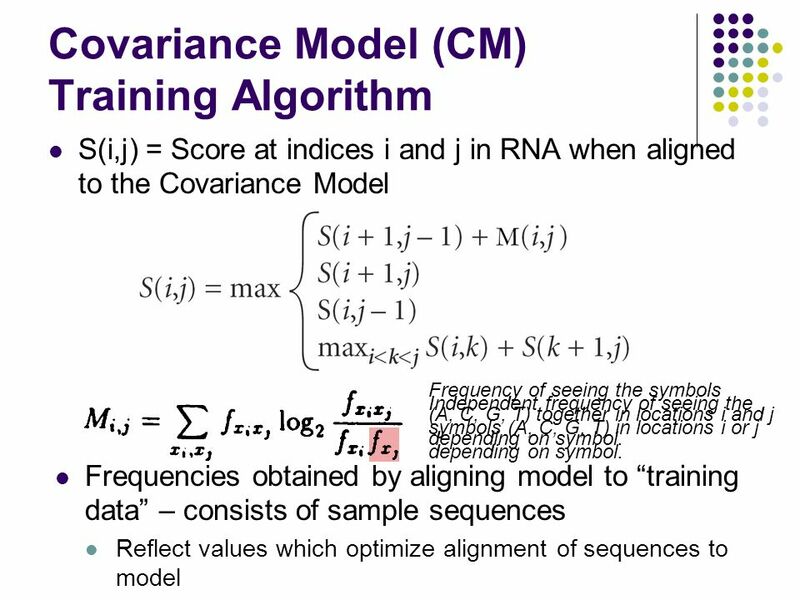 Overview  Sequence comparison lies at the heart of bioinformatics analysis.  It is the first step towards structural.